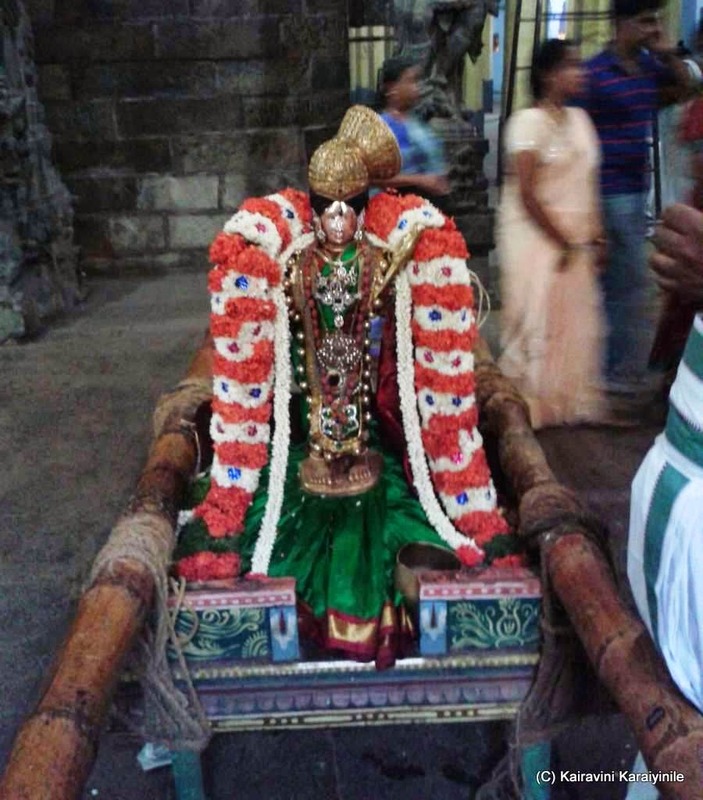 In Tamil Nadu, most Temples have beautiful and majestic Gopurams and at Sri Villiputhur, the birth place of Sri Andal it is a 11 tiered structure of about 192 feet high. 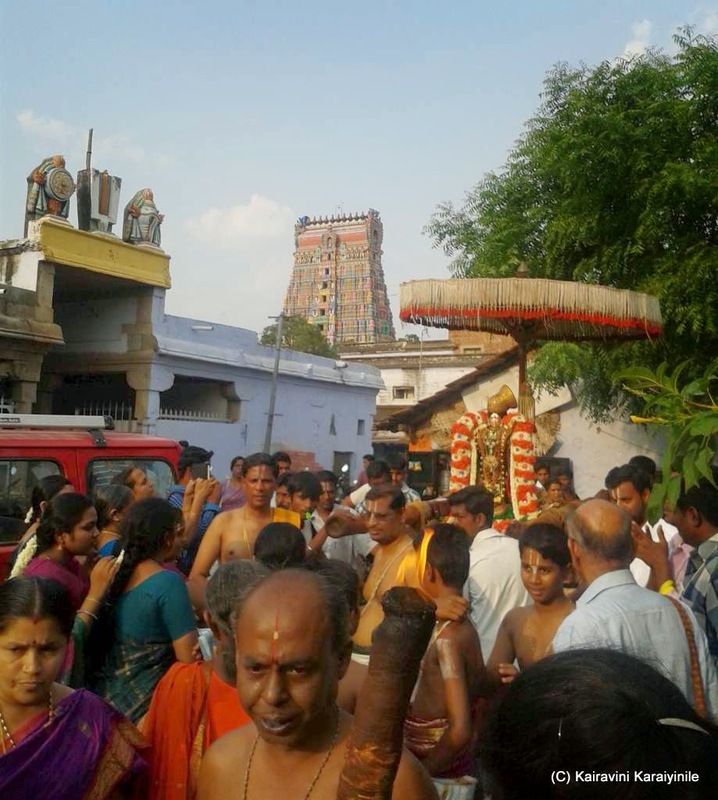 The majestic Gopuram of the West tower of the Sri Villiputhur divyadesam is the emblem of State of Tamil Nadu. 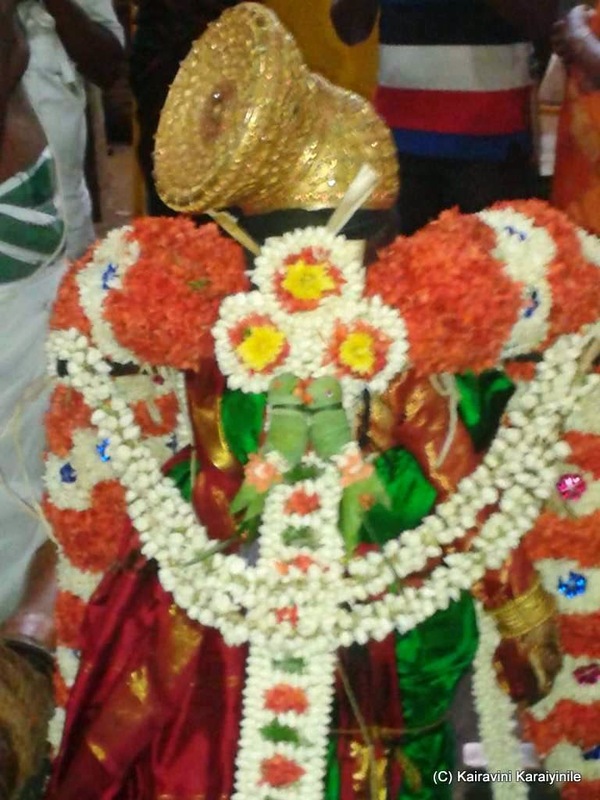 Kothai Piratti [Andal] represents the most unique combination of divine wisdom coupled with devotion non-pareil. 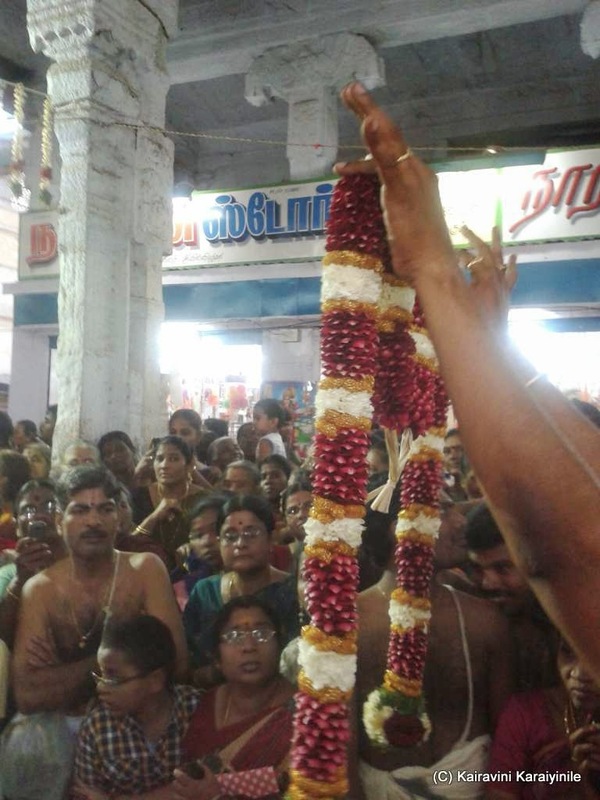 A paragon of virtues - supreme example of single-minded devotion in serving the Lord, as clearly brought out in her great prabandham of 30 hymns "Thiruppavai". 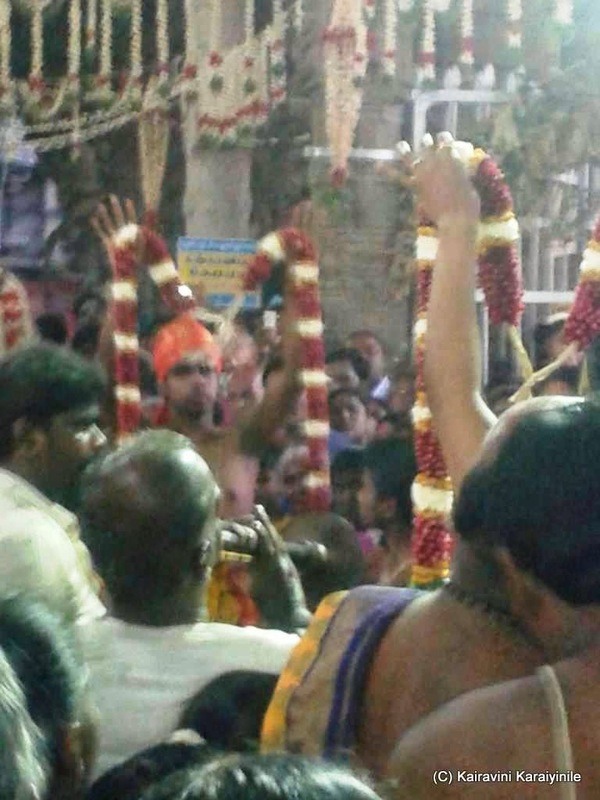 Andal’s philosophy is clear and unmistakable. 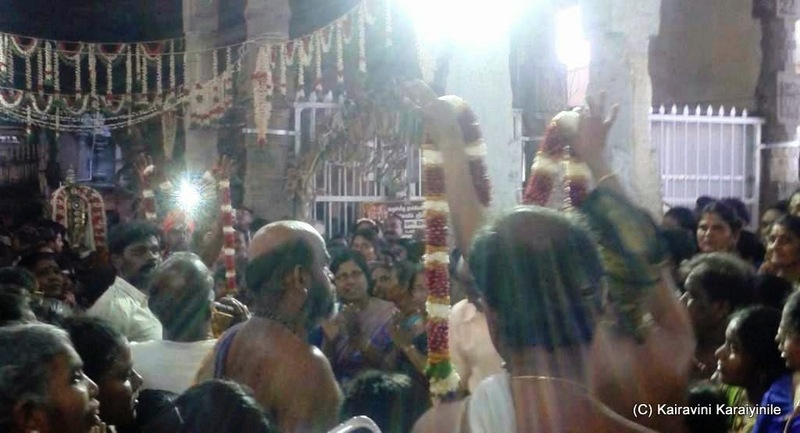 She propagated taking refuge saying ‘immaikkum ezhezhu piravikkum patraavan, nammaiyudaivan Narayanan nambi’ - "Sriman Narayana is our refuge now and forever and He will not let us down, for we are His possessions". 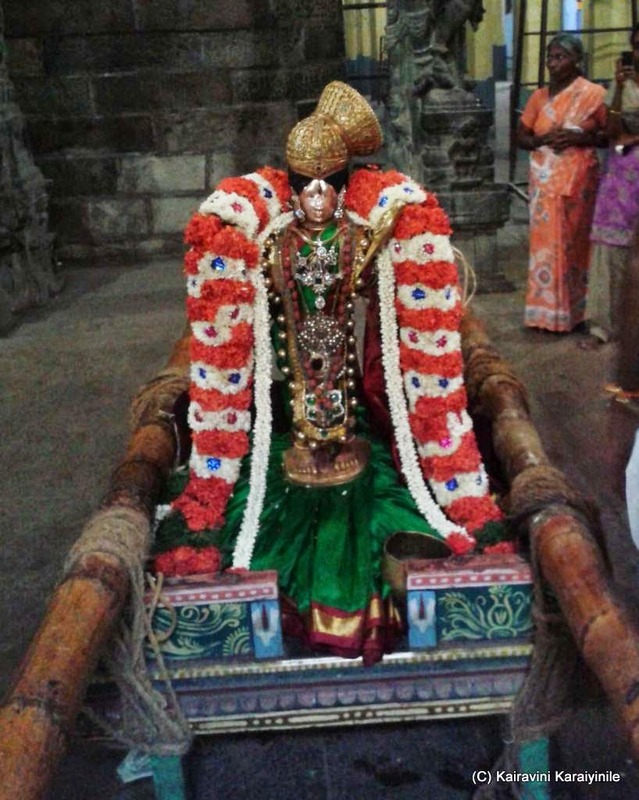 And true to her words – she vowed that she will marry only Sriman Narayanan. 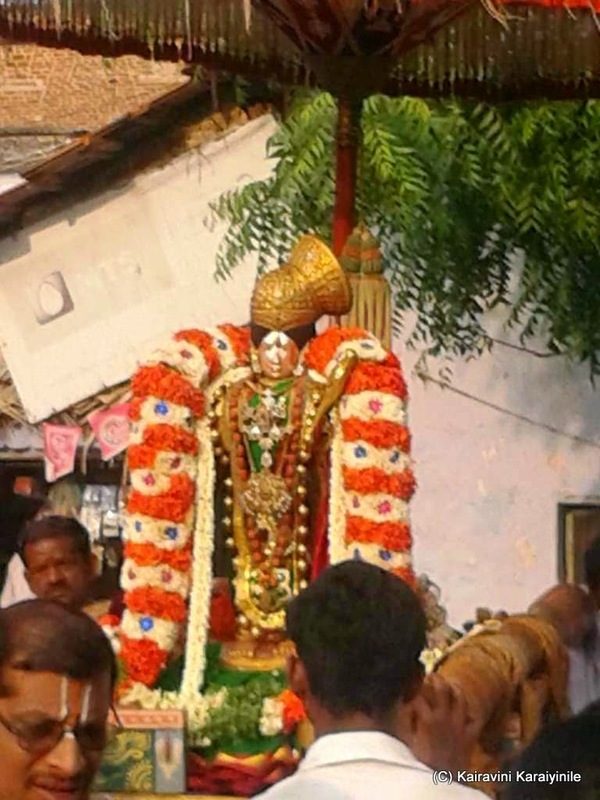 Appreciating her steadfastness and bakthi of Sri Andal, Sri Ranga Mannar came from Thiruvarangam, married Andal on Panguni Uthiram day ...... now one can worship Garudazhwar, Andal and Sri Rangamannar in the sannathi at Sri Villiputhur. 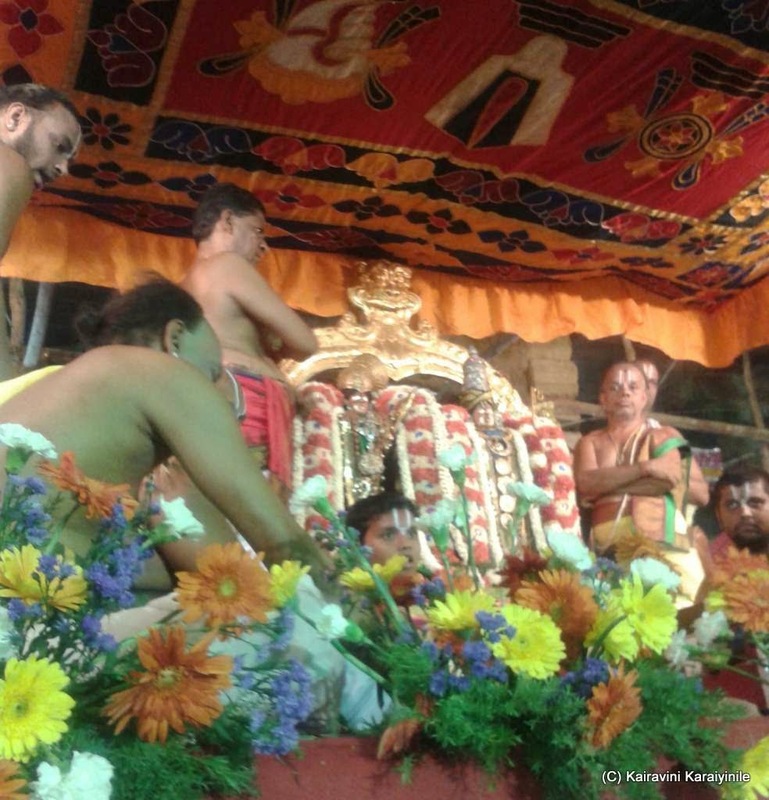 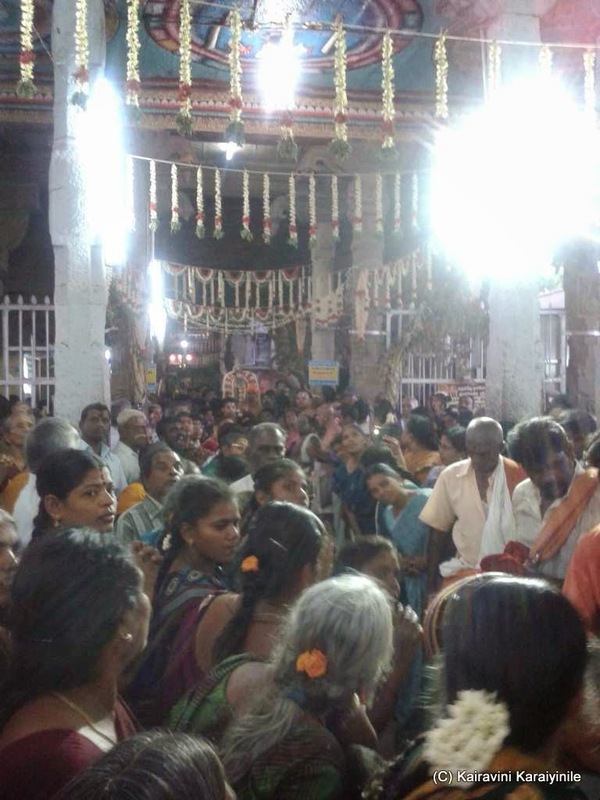 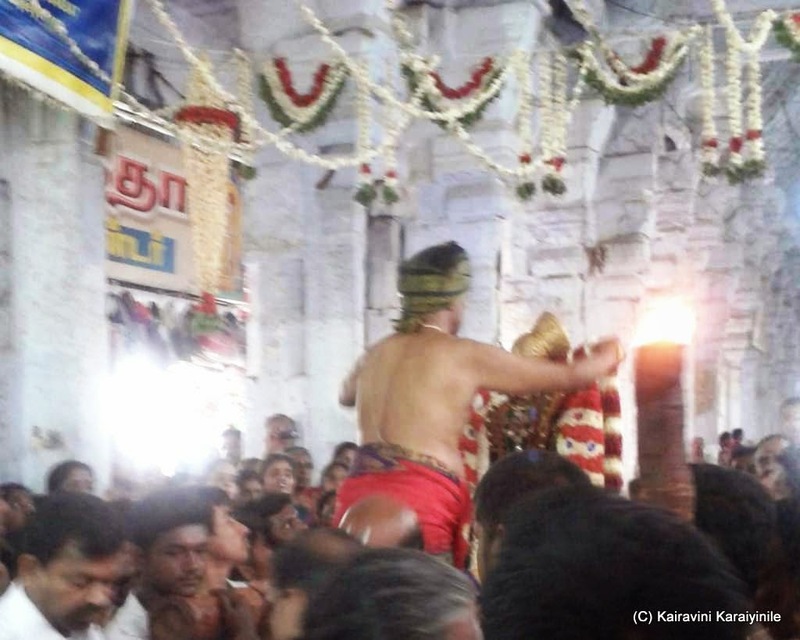 Every year Andal Thirukalyanam is celebrated in a grand manner ~ on 9th day of the Uthsavam occurs the divine marriage of Andal Ranga Mannar – this year it was on 13th April 2014.